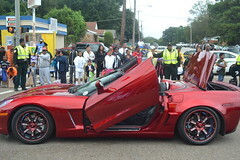 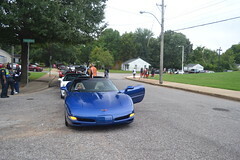 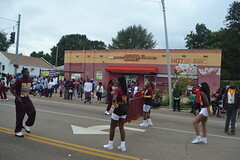 This Saturday I went to my first majorette jamboree of the new year, the Diva Time Community Steppers Memphis Sound Showcase at the Elliston Baptist Academy gym. 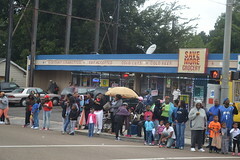 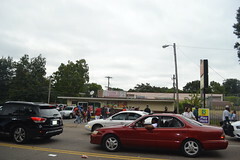 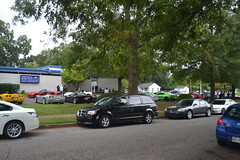 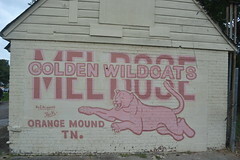 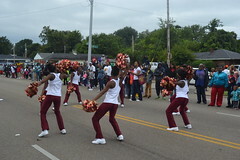 Although the place was crowded and there were some examples of great dancing, jamborees in Memphis have become little more than dance contests, with the various groups doing their routines to hit songs on compact discs rather than the traditional drum cadences. 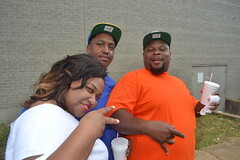 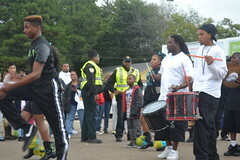 Only Crump Elementary from Hickory Hill did their routine with drummers. 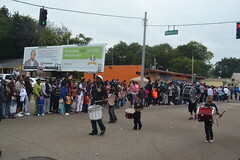 The battle between the two Memphis drumlines soon attracted the attention of the Iowa State drumline that was warming up nearby. 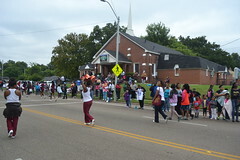 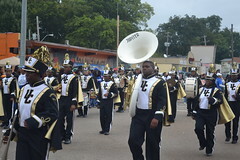 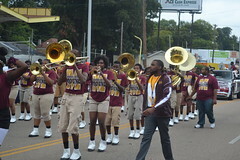 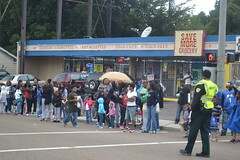 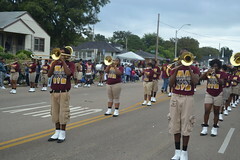 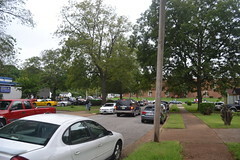 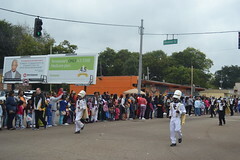 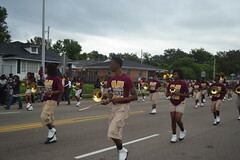 They marched over to where we were on the other side of the street and played one of their cadences for us. 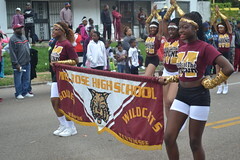 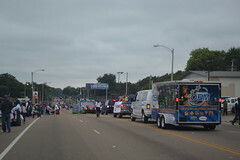 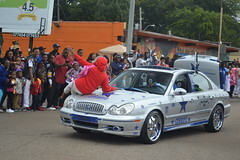 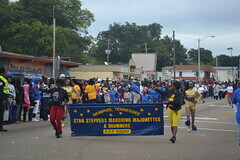 The other musical entry from Memphis in the Liberty Bowl Parade was the Star Steppers Drill Team and Drummers, one of the few Memphis majorette or drill teams to still include a drumline as was once traditional for all Memphis drill teams. 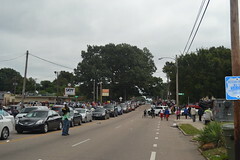 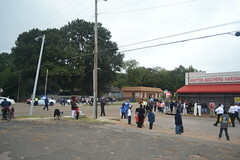 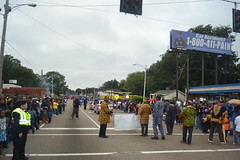 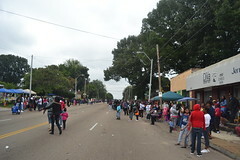 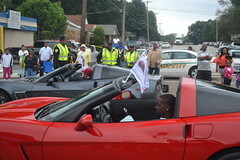 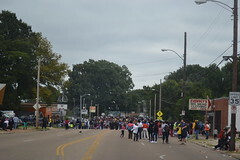 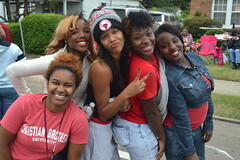 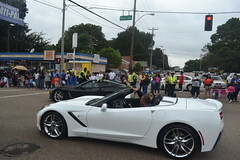 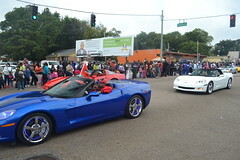 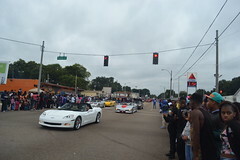 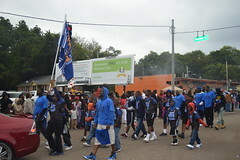 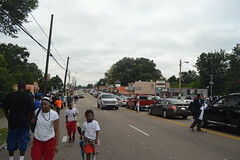 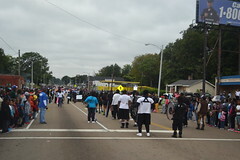 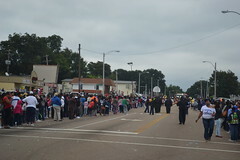 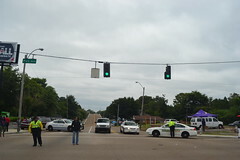 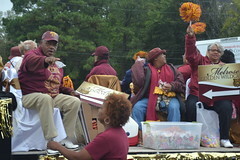 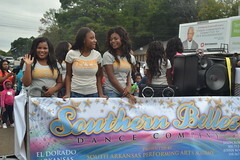 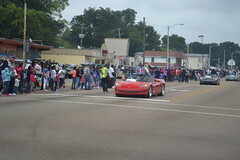 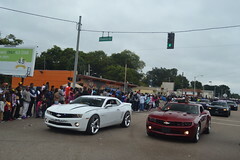 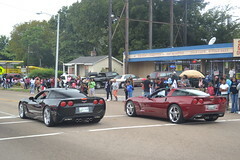 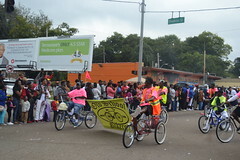 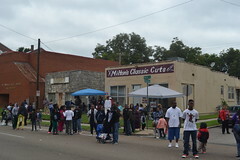 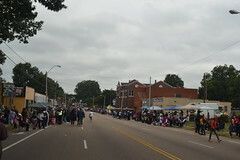 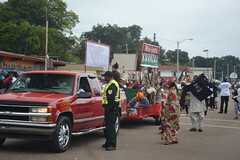 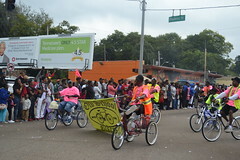 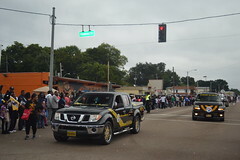 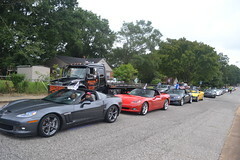 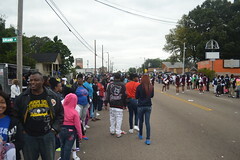 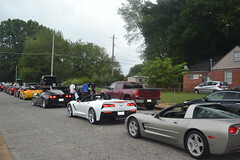 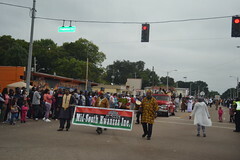 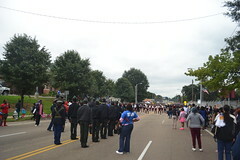 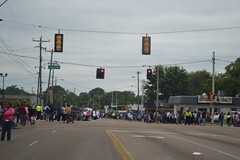 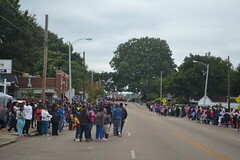 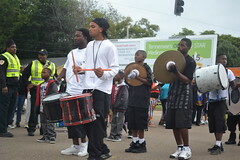 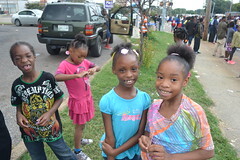 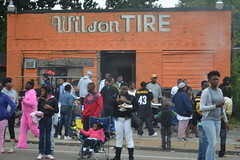 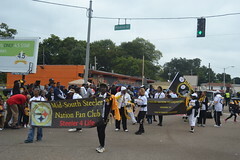 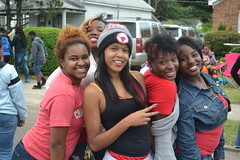 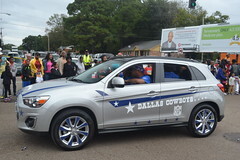 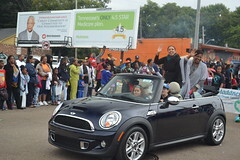 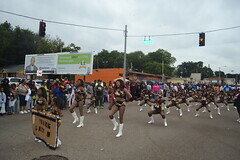 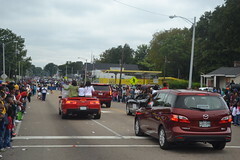 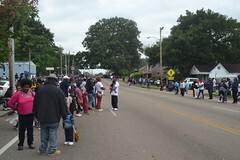 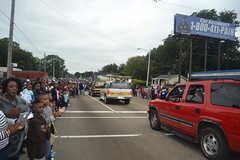 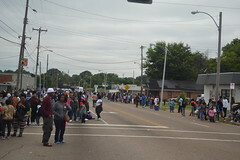 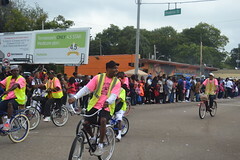 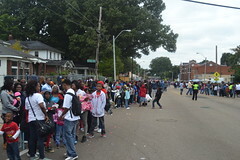 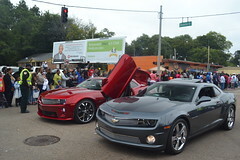 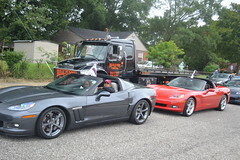 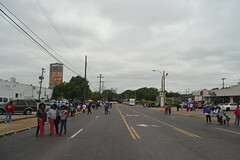 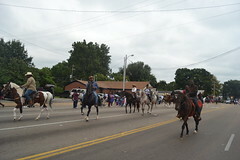 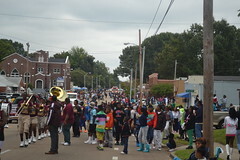 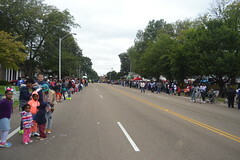 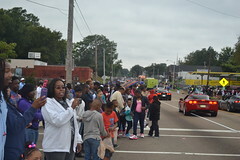 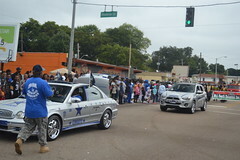 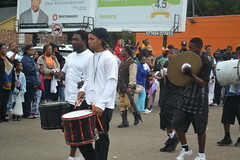 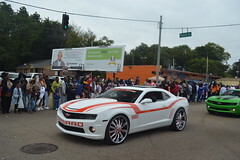 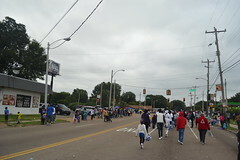 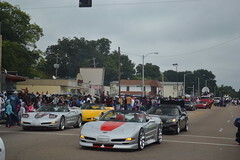 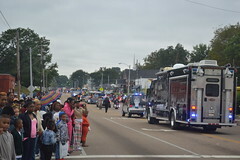 At the end of the parade route, the dancers and drummers paraded down Lt. George W. Lee Avenue between the Fed Ex Forum and Beale Street, then posted up at the Fourth Street corner across from Church Park. 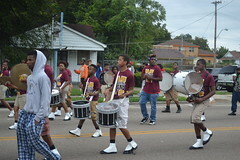 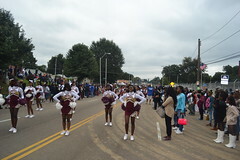 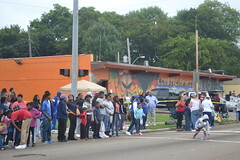 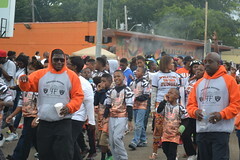 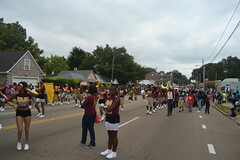 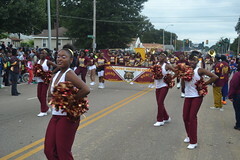 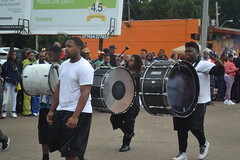 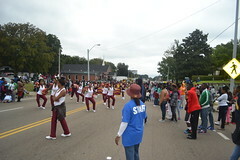 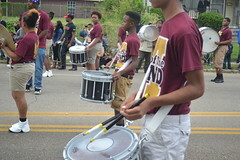 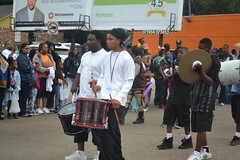 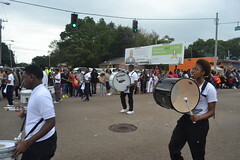 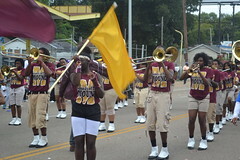 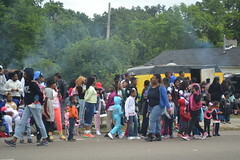 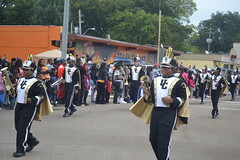 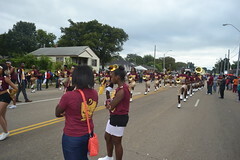 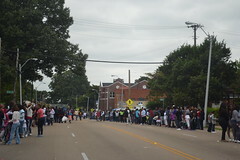 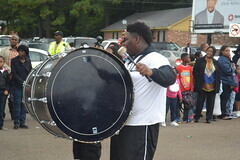 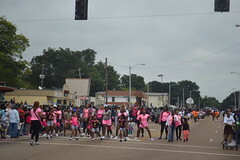 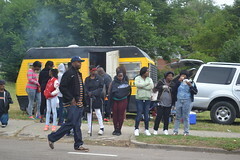 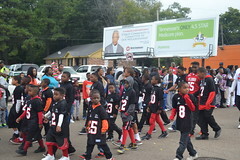 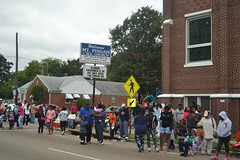 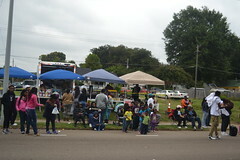 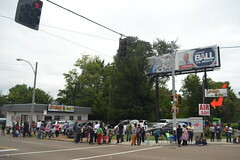 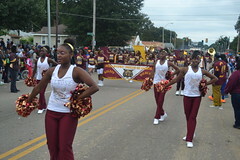 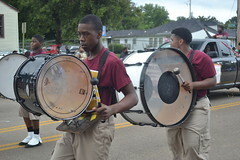 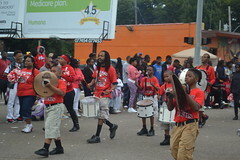 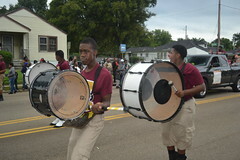 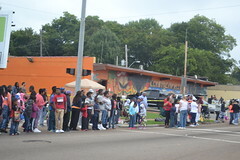 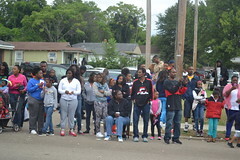 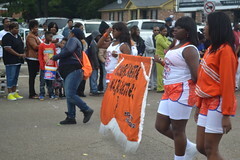 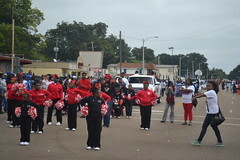 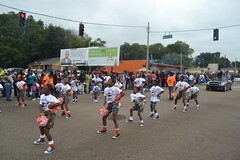 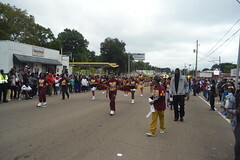 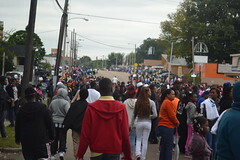 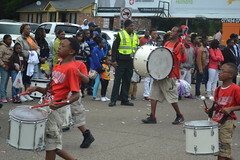 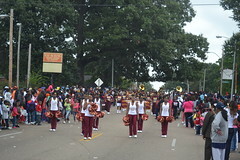 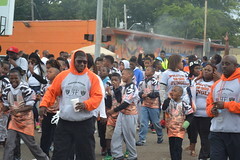 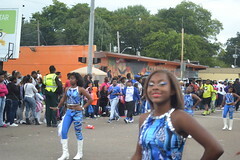 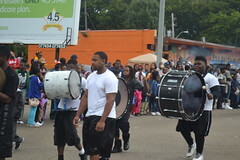 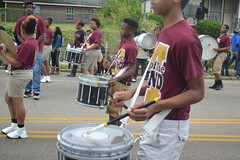 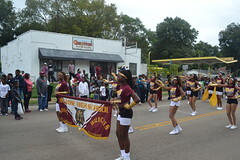 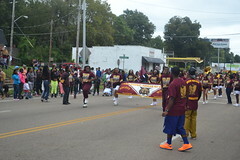 When Bellevue Middle School’s majorettes and drummers marched up to the same spot, a series of drum battles began between the two Memphis squads, attracting a fairly large crowd of locals and visitors alike. 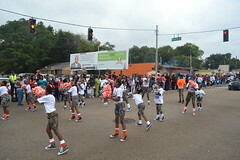 One of the few Liberty Bowl parade entries from Memphis was the Bellevue Middle School Majorettes and drummers, who posted up between the Fed Ex Forum and Church Park, warming up and marching.